While the term “paleo” has been a buzzword in the world of nutrition and dieting for several years now, most people have a misconception of what paleo means – often mistaking a paleo/primal lifestyle for a strict adherence to a particular food list notably absent of grains, beans, legumes, and dairy. Paleo is so much more. As humans, we are all born with a genetic DNA map to health and happiness. In fact, every species was born with their own DNA maps. Unfortunately, over the past 10,000 years humans have thrown away that map and unknowingly taken a detour in the wrong direction, which opened the door and invited in the diseases of modern life. Ever since paleo became a popular buzzword, people have been grossly misinterpreting it on a variety of levels. Paleo, primal, ancestral, and evolutionary health are all terms that describe the same movement. The biggest misconception about a paleo lifestyle is that it is merely a list of foods you can or cannot eat. This could not be further from the truth. The paleo/primal lifestyle is different from any other eating strategy out there today. It enables you to get off the carbohydrate-dependency hamster wheel, which is the cause of so many diseases, and allows you to transition into a fat-burning machine. If you are a sugar-burner, your body is dependent on (i.e., addicted to) fueling itself on glucose. If you are a sugar-burner, you trained your body to function this way; many people do this unwittingly based on flawed, conventional diet wisdom that instructs people to eat every two to three hours and/or adopt a low-fat/high-carbohydrate diet. The reason so many people cannot lose weight or maintain weight loss without struggling is that they are sugar-burners. • You crave grain-based carbohydrates like bread, rice, cereal, and baked goods/treats. • You can’t seem to burn fat. • You are hungry every two to five hours. • You have drops in energy during the day. 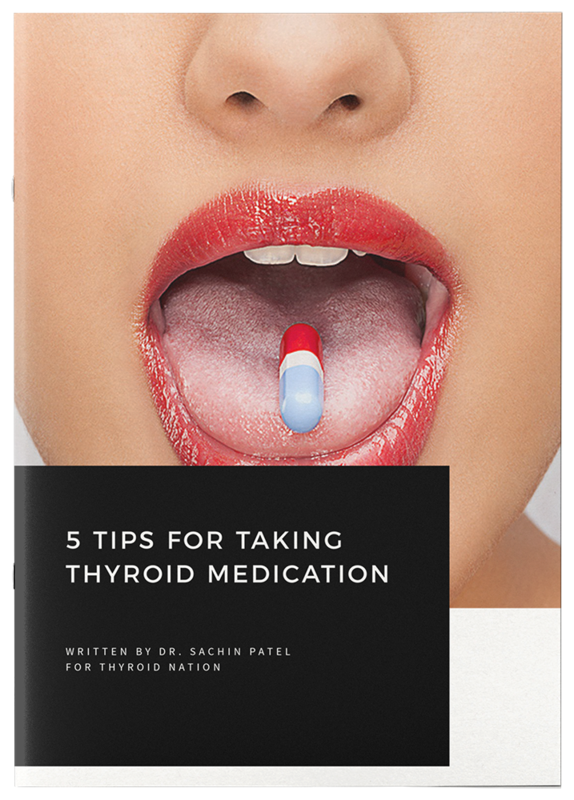 (Notice that a lot of the symptoms here are similar to what you experience when you are hypothyroid. Coincidence? Probably not.) I used to be royally obsessed with food. At one point I thought about joining Overeaters Anonymous because I didn’t understand why I was so food-obsessed. I couldn’t go more than three to four hours without eating, or I would get very cranky and feel exhausted and mentally drained. Like many people, I thought the “eat every two to three hours” philosophy was the healthiest eating strategy, based on the information I read in almost every diet book on the market. And it certainly seemed in line with the symptoms I had when I did not follow that routine, so I believed the strategy had merit. However, at the time I didn’t realize that there was a much easier and healthier way: eating the way our bodies were genetically programmed to operate. If you are a fat-burner, you can use the fat from your diet and the fat stored in your body to fuel yourself. Fat has been the primary fuel source for humans for 2.5 million years, both from storage and as the predominant macronutrient in the human diet. In fact, it was the energy-rich, high-fat elements of animal products (particularly omega-3 fatty acids) that facilitated the development of a more complex brain and allowed humans to branch out from their predominantly vegetarian ape cousins to eventually rise to the top of the food chain. Our genetic makeup is still the same as our hunter-gatherer ancestors who lived 50,000 years ago. Our DNA preference for fat-burning conflicts with the government food pyramid, which suggests that carbohydrates should form the foundation of a healthy diet. The government food pyramid recommends eating six to eleven servings of grains per day and two to four servings of fruit, along with limiting fat intake and other irrational suggestions that lead to health issues. Our modern high-carbohydrate, grain-based diet has sparked a dependency on external carbohydrates for energy at the expense of efficient fat metabolism. We are the only living things on the face of the Earth who have “food issues.” Animals in the wild don’t require food every two to three hours to maintain energy and stamina. Humans have burned fat as their primary source of energy throughout human evolution. Our hunter-gatherer ancestors were not only lean and fit, but they did not have diseases of modern life, such as type 2 diabetes, hypothyroidism, and autoimmune disorders, until the abrupt transition to a grain-based diet. The agricultural movement, and the decline of human health, entered the picture ten thousand years ago, once humans settled down in one area, stopped wandering, and started to domesticate animals. Dairy came on the scene about seven thousand years ago, and sugar showed up only two hundred years ago. A high-carbohydrate, high-insulin-producing diet inhibits fat metabolism, making you dependent upon regular carbohydrate feedings in order to sustain mental and physical energy. This promotes a lifelong accumulation of excess body fat, an exhaustion of your adrenal glands’ fight-or-flight stress responses, along with emotional tribulations related to eating. Living life as a sugar-burner is a never-ending struggle to balance calories in with calories out. A grain-infused, high-carbohydrate diet also promotes inflammation and free radical damage in the body, accelerating the aging process and contributing to all health problems, including heart disease and cancer. Our hunter-gatherer ancestors ate a diet high in animal flesh and animal fat along with very low-carbohydrate/low-sugar consumption. Did you know that humans can live their entire lives without ever eating a single carbohydrate, but we could not survive without protein and fat? Not only will our bodies produce glucose on their own, but excess protein goes through a process called gluconeogenesis, which converts excess protein into glucose. So in times of overeating animal flesh in the wild, human bodies would turn that excess protein into carbohydrates. We were all born with a perfect genetic formula to live long, happy lives and spend our time in lean, fit bodies with an abundance of mental and physical energy. The introduction of grains, sugar, dairy, and excess carbohydrate consumption has, over time, turned millions of people into sugar-burners who are glucose dependent. A sugar-burning existence will put you at risk for developing food addictions, hypoglycemia, insulin resistance, type 2 diabetes, and adrenal gland issues, all of which negatively affect thyroid hormone metabolism. Did Our Hunter-Gatherer Ancestors Have Hypothyroidism? 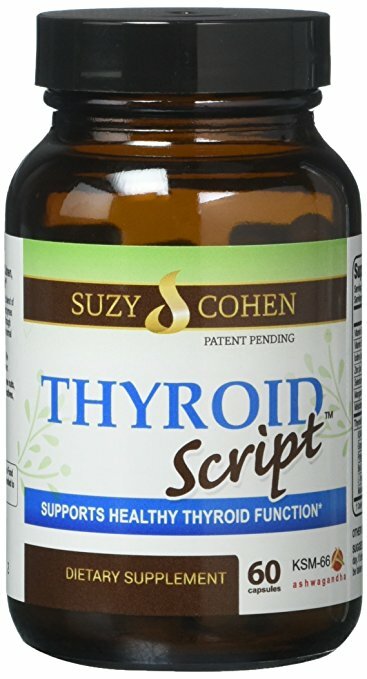 Based on the Paleolithic eating and lifestyle habits of our hunter-gatherer ancestors, it’s highly doubtful they had hypothyroidism. The earliest mention of thyroid issues dates back to around 10,000 years ago in China. Coincidentally, wheat and barley were introduced to China from the Middle East during that time, reflected in the name of the mythical Chinese emperor “Emperor of the Five Grains.” Glutens (present in grains) are the biggest known triggers for autoimmune Hashimoto’s disease (an autoimmune disorder that affects the thyroid gland). I find it interesting that the first recorded occurrences of thyroid issues in China coincided with the introduction of grains into their society. In order to reap the benefits of a paleo/primal lifestyle, it is necessary to transition your body from a glucose-dependent sugar-burner to a fat-adapted fat-burner. The only negative in this transition is that it takes about three to four weeks of mental willpower to succeed. You don’t have to lift a finger in terms of exercise in order to make this transition, but it does require a level of willpower as your body becomes un-addicted to glucose to fuel itself. During this period of transition, your brain will trick you into thinking you are hungry, and mental/ physical energy lapses can occur. In actuality, your brain is an addict that is going through glucose/carbohydrate withdrawal and is trying to trick you into consuming its drug of choice—sugar. Becoming fat adapted is the process of breaking an addiction cycle. One month of mental willpower for a lifetime of freedom was worth it to me. Becoming fat adapted not only changed my body, brain, and spirit, it enabled me to reduce my thyroid medication. Adopting a paleo lifestyle inherently addresses underlying causes of adrenal fatigue and blood sugar issues which helps your endocrine system function more efficiently, including thyroid hormone metabolism. Consume quality paleo/primal foods and manage carbohydrates (under 150 grams of total carbohydrates per day unless you are a serious professional athlete. For women or smaller people like me, under 100 grams of total carbohydrates per day or lower). Lifestyle: getting adequate sleep, sunlight, fresh air, and stress reduction/management. General paleo/primal ratio: high fat/moderate protein/low carbohydrate. 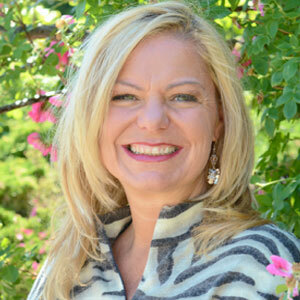 Elle Russ is a writer, actor, and life coach. She is a popular host of The Primal Blueprint Podcast, a top-20 ranked show in the Health category on iTunes. She interviews an assortment of guests including health experts, best-selling authors, athletes, and celebrities. 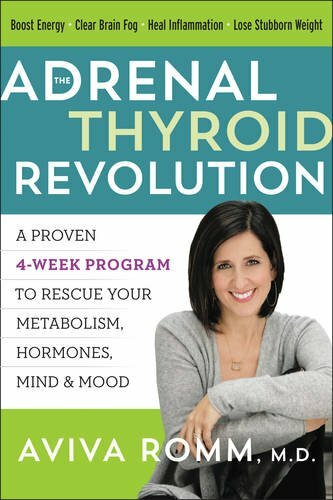 Her book, The Paleo Thyroid Solution dispels outdated, conventional thyroid wisdom still practiced by uninformed doctors, and provides the in-depth guidance necessary to solve hypothyroidism, achieve vibrant health, and optimize thyroid fat-burning hormone metabolism. 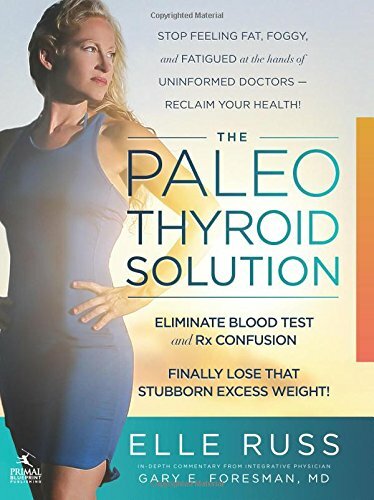 The Paleo Thyroid Solution is available to purchase on Amazon, Barnes & Noble, and other retailers. To learn more, visit Elle’s website, www.elleruss.com. Follow her on Facebook, Twitter and Instagram.